Offering PayPal as a payment method on Madeit has always been optional for our sellers, to allow flexibility for hobby makers and those trying to minimise fees in their handmade business. However, the internet is an ever-evolving beast, and as customer expectations and behaviours change, the way we sell also needs to change to meet those expectations. That’s why, in the coming weeks, it will become a requirement for all Madeit sellers to hold a business PayPal account and offer PayPal as a payment option in their Madeit store. 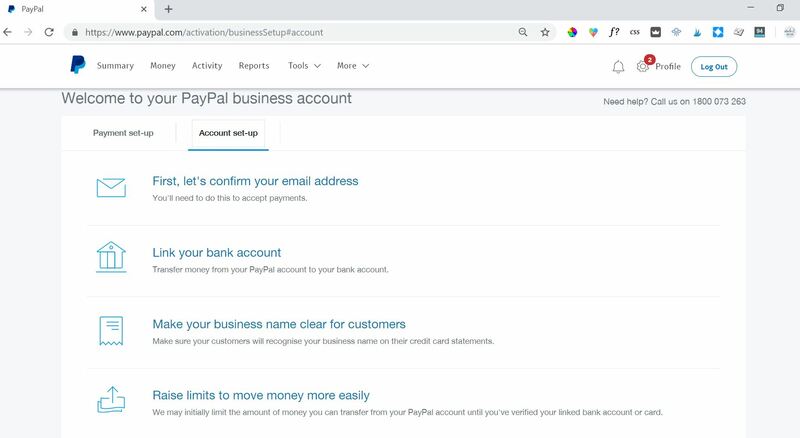 Why do I need a business PayPal account? 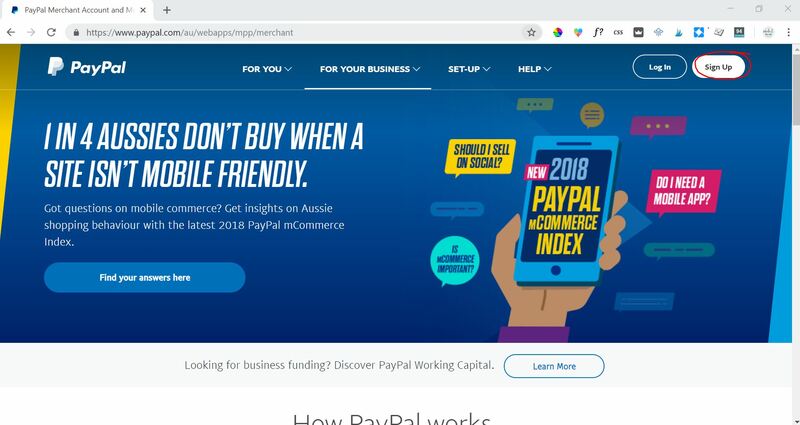 Can’t I use my personal PayPal account? While you can accept PayPal payments with a personal PayPal account, a business account also allows you to accept major credit cards. 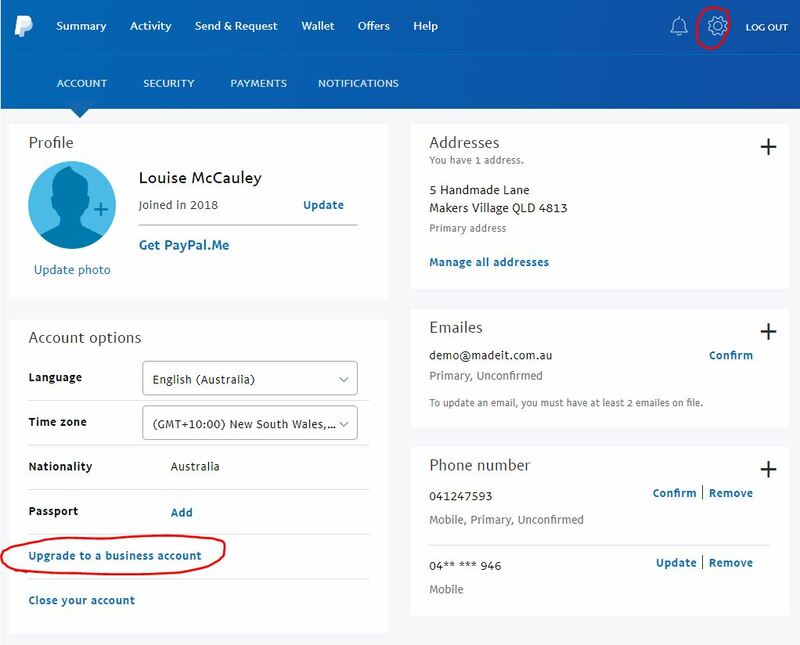 You don’t need to have an ABN, a registered business name, or actually be running a business in order to hold a Business PayPal account. Anyone can get one, it is free to set up, and the transaction fees are exactly the same as those on a personal (regular) PayPal account. So the better question is, why wouldn’t you use a business PayPal account?! 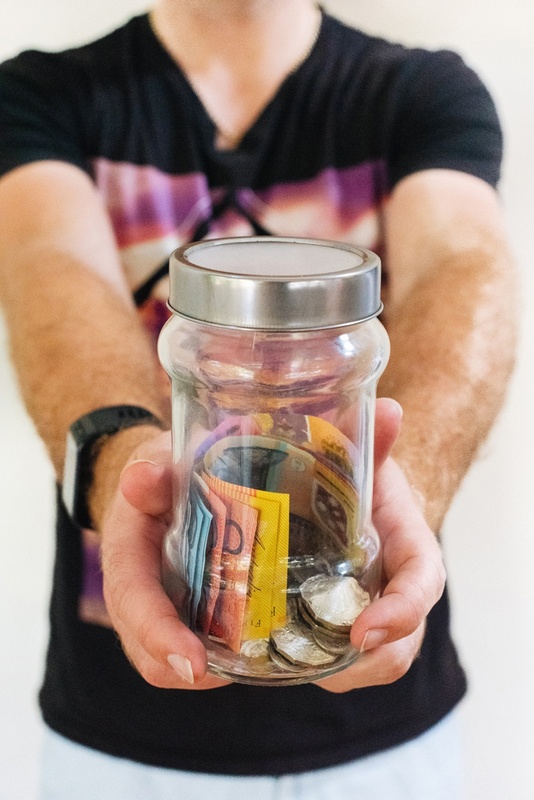 How can paying transaction fees benefit my bottom line? The short answer is, that offering instant payment methods, particularly trusted gateways like PayPal, that make checkout extremely quick and easy, greatly increases conversion rates (the number of visitors that make a purchase). Since PayPal became available on Madeit in 2010, 96% of all sales on the platform have been paid with PayPal (or credit card via PayPal). Only 4% were paid with direct deposit. Similarly, when Volusion examined sales data from their website building platform, they found that stores offering PayPal earned 650% more than those who didn’t. That’s a lot more sales! 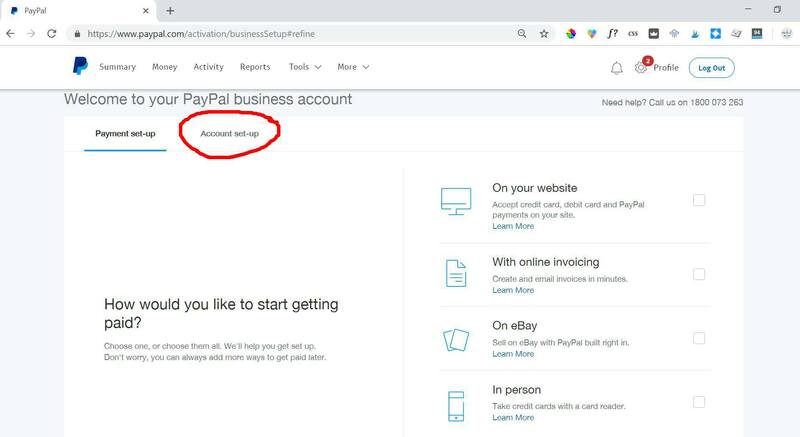 If you’re already offering PayPal, but you don’t have a business PayPal account, anyone who doesn’t have a PayPal account is currently unable to pay you, except by direct deposit (if you offer it). About 20% of all Madeit transactions that have used the PayPal gateway had been paid with credit card rather than a PayPal account, so that’s a fair chunk of the market you’re missing out on if you’re not offering credit card as an option. So, how do you set up PayPal business and start using it on Madeit? I can help with that! 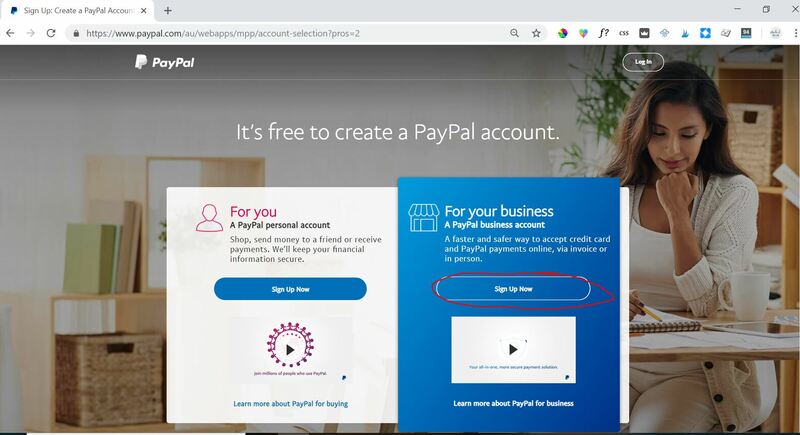 If you already have a personal PayPal account, upgrading your account before using it as a method of payment will mean you can accept both PayPal and Credit Card payments. 3. 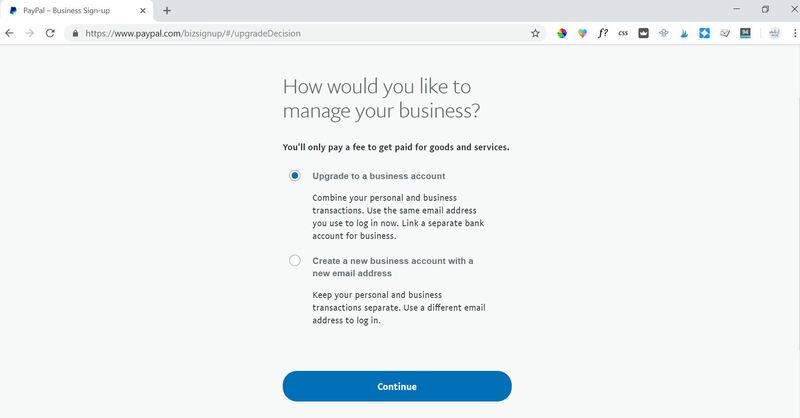 Select ‘Upgrade to a business account’ as shown below. 4. Select your business type. Note that if you don’t have an ABN, you will need to choose ‘Sole Trader’ as your business type. If you do have an ABN, select whichever business type applies to your business structure. 5. Confirm that you want to upgrade your account rather than creating a new account. 6. Fill out your business information. If you’ve selected Sole Trader as your business type you can use your own legal name if you don’t have a business name (ie. the name used for the bank account/ credit card you will link to PayPal). 7. Provide a bit more information about what you sell, and how you’d like transactions to appear on your customers’ bank statements. There’s not many product or service keywords to choose from, so just select the one that seems closest to what you do. Click the Continue button and your account upgrade is complete. 8. 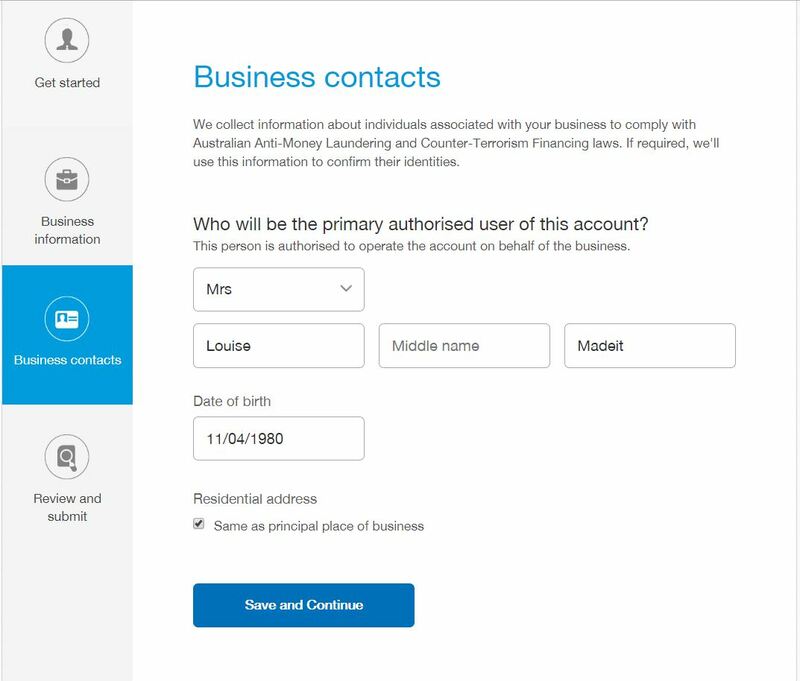 Once you’ve upgraded your account you’ll see a Business Setup page like the one below, asking you how you’d like to start accepting payments. 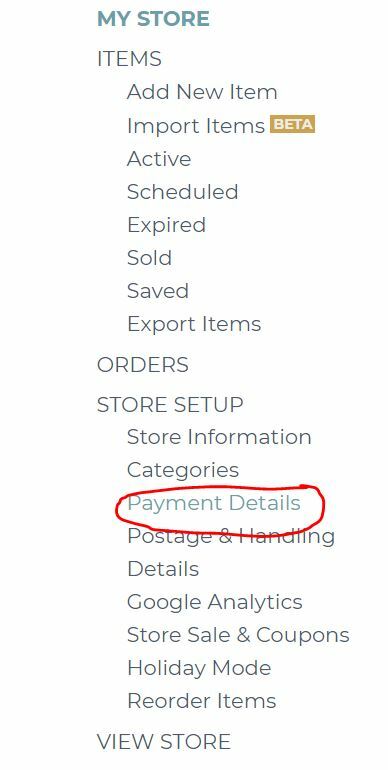 You can skip this step because your account upgrade is complete and we’ve already integrated your store with PayPal, so all you have to do is ensure your correct PayPal email address is entered on the Payment Details page of your Madeit store setup. 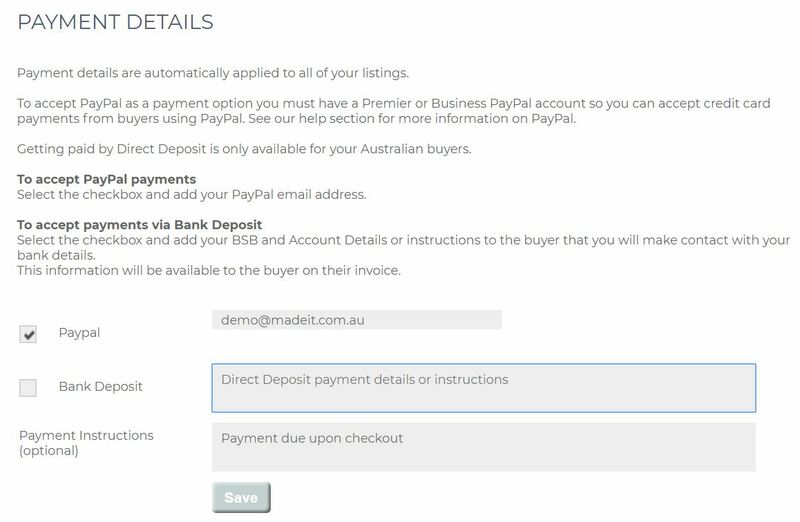 See the ‘Accepting PayPal and credit card payments on Madeit’ section at the bottom of this blog post for instructions. 2. 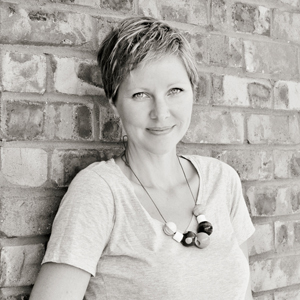 Click on the ‘Sign Up Now button on the right side of the page, beneath ‘For your business’. 3. Enter a valid email address. Note that all PayPal notification emails will be sent to this email address and you will need to verify your email address before you can accept payments. 4. Choose a password for your account and fill out some details about your business structure. Click the Continue button and your account upgrade is complete. If you don’t have a business name, use your own legal name and select ‘Sole Trader’ as your business type. 5. On the next page you’ll need to provide a bit more information about your business or store. If you don’t have an ABN you can leave the ABN field blank, so long as you selected ‘Sole Trader’ as your business type. 6. Finally, you need to enter some personal information about yourself as the operator of the business and /or owner of the account. Then review and submit your application. 7. Once you see the success message below, your account has been created and you’re almost ready to start accepting payments. Click ‘Go to Business Set-up’. 8. 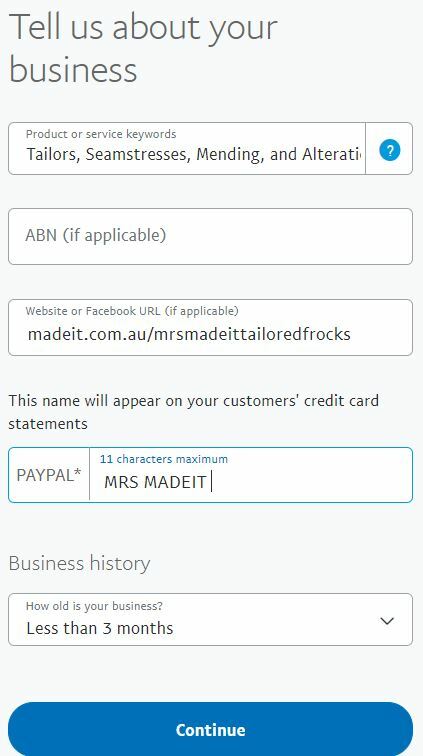 To accept PayPal payments on Madeit you won’t need to fill out any information on the Business Setup page, so click the ‘Account set-up’ tab to continue. 9. In order to start accepting payments, you’ll need to confirm your email address. Go to your email inbox and find the confirmation email from PayPal and click on the confirmation link in the body of the email to confirm. 10. When you get paid with PayPal the money sits in your PayPal account until you transfer it to your bank, which you can do any time you like. In order to transfer money, you’ll need to first link your bank account to your PayPal account. To do this, click the ‘Link your bank account’ option and enter your bank details to link the two. 11. 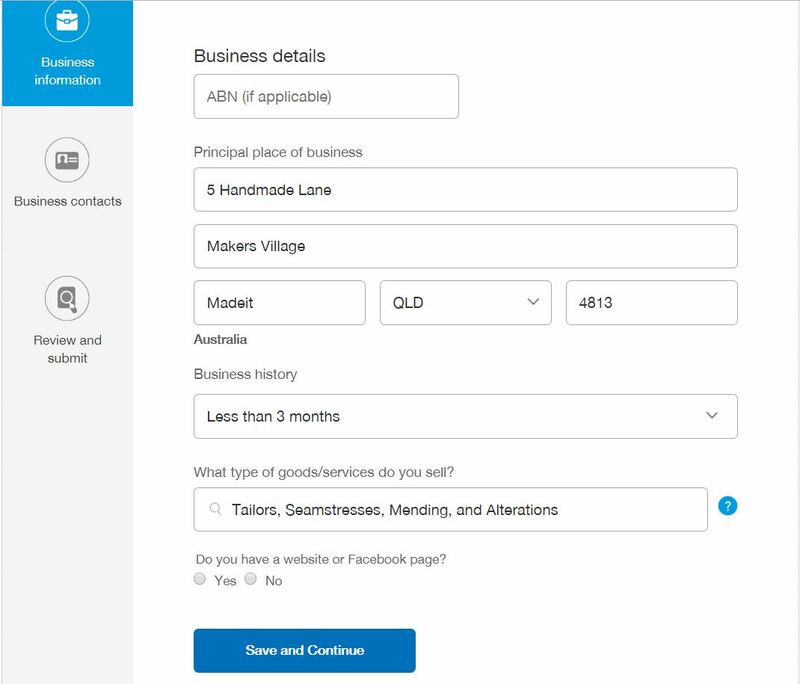 The last couple of options on this page are not essential, but it is a good idea to make sure your business name is clear on your customer invoices, so I recommend clicking the ‘Make your business name clear for customers’ link and enter your store name or something similar so customers can recognise transactions from you on their statements. 1. Once you’ve created / upgraded your PayPal Business account, you’ll need to add PayPal as a payment option in your Madeit store. To do this, sign in to your Madeit account, and in My Madeit, click on Payment Details in the left menu under Store Setup. 2. On the Payment Details screen, click the checkbox next to ‘PayPal’ and enter the email address associated with your PayPal account and click SAVE. 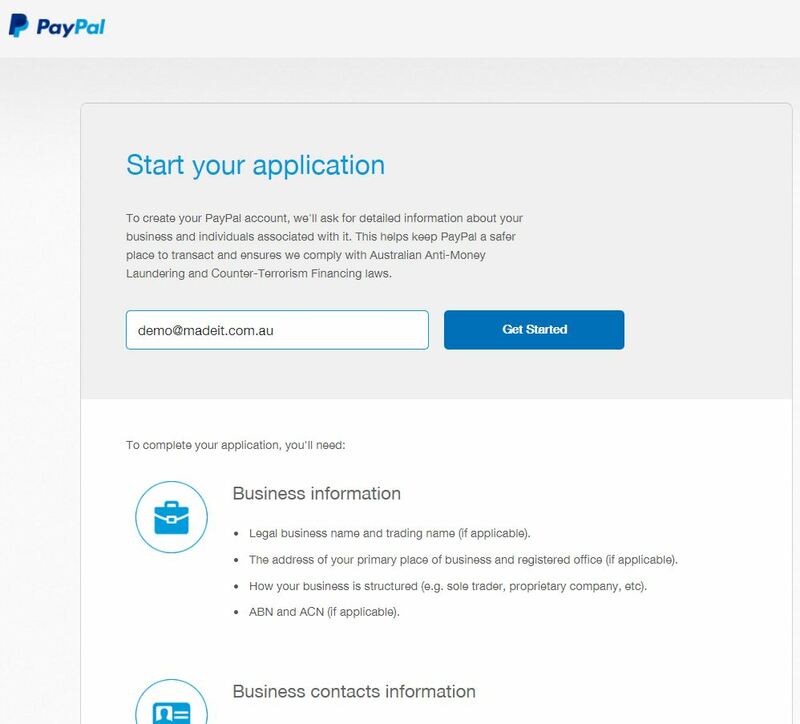 IMPORTANT: Please ensure that you have entered your PayPal email address correctly. If this is not correct and a customer uses credit card or PayPal to purchase from you, the payment will not be allocated to your PayPal account, and if the email address belongs to someone else it will be nearly impossible to get the money back into your account. So check it, then double check it! Thanks for the blog post to help link PayPal to our accounts. I am a hobbyist however when I get to number 10 (linking to an account). 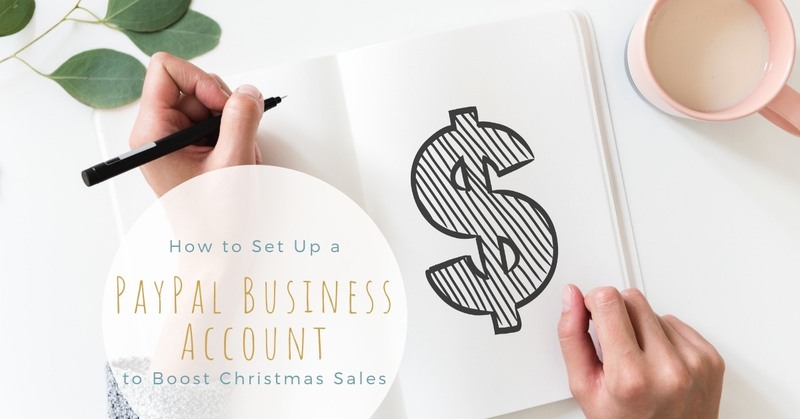 The only option is a business bank account. I don't have one and I don't want to open one as I only make jewellery for fun and not for making money. What should I do? (I don't have a legal business name either). Can I use my normal bank details? 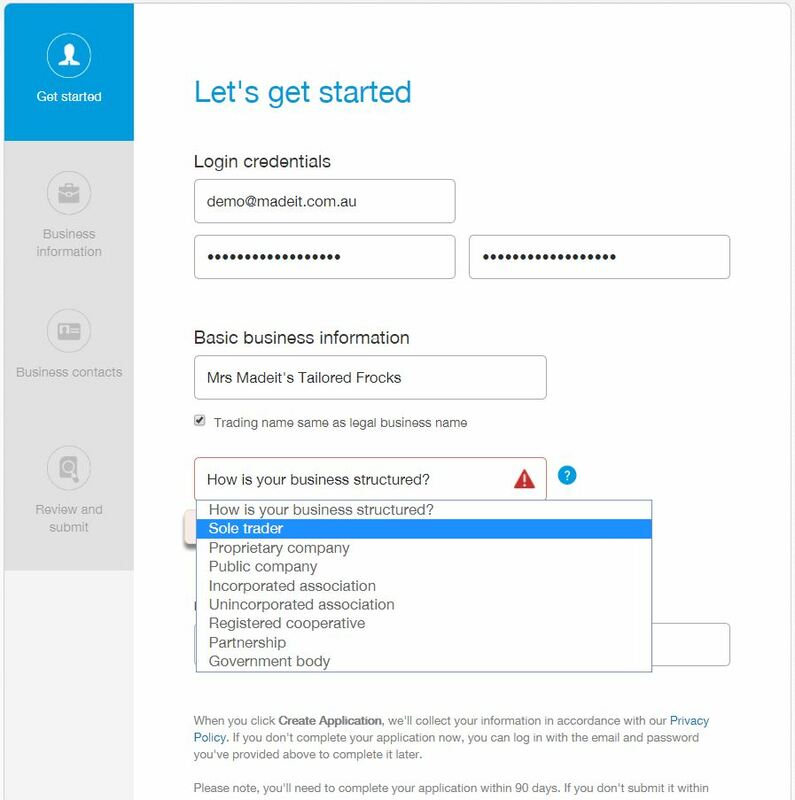 Yes, CoffeePodCreations, you can use your own name (the one your bank account is in) as your legal business name (you can do this if you've selected 'sole trader' as your business type) and use your normal banking details.